When it comes to housing, California gubernatorial candidates Gavin Newsom and John Cox agree on one key point: the most crowded state in the country faces an affordable housing crisis and needs to build more homes, and fast. 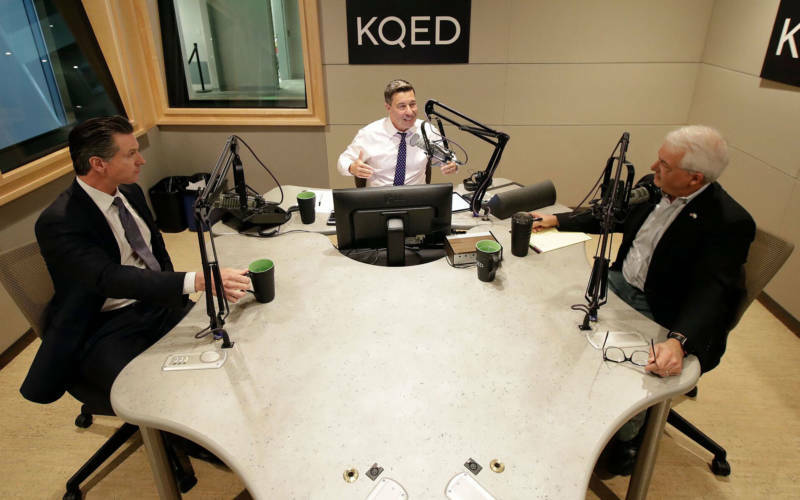 But on how best to accomplishment that goal, the two found little common ground during their one-hour radio debate on Monday, hosted by KQED, their only scheduled face-off. 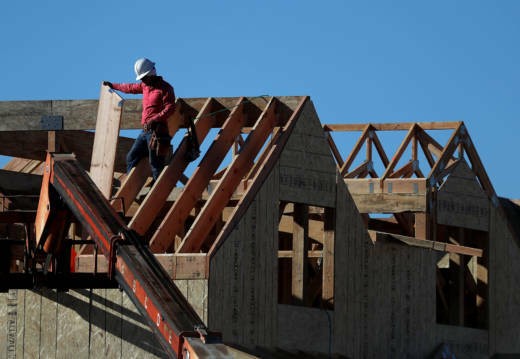 Newsom, the Democratic lieutenant governor and former San Francisco mayor, emphasized that the state has a crucial role in generating more funding for affordable housing development and seeing that it gets built. “There’s a certain point where the state of California needs to intervene," he added. But for Cox, a wealthy Republican businessman from San Diego County who's never held public office, the state is the cause, not the solution, of the housing crisis. “It’s government that has driven up the cost of housing in California,” Cox said, pointing to California’s high taxes and strict regulations that, he argues, discourage development by driving up costs and slowing down construction. While California has among the highest rental and real estate prices in the nation, it currently ranks next to last in per capita housing production. Cox, who owns 2,700 housing units in the Midwest, took specific aim at the California Environmental Quality Act, or CEQA, the state’s main environmental regulation concerning development, which he proposes eliminating and replacing “with something that’s more workable.” He criticized the law, which requires in-depth assessment of the environmental impact of proposed projects, for slowing down building project approvals and unnecessarily hiking development costs. Newsom agreed on the need to reduce time and cost factors, but criticized Cox’s anti-regulation approach as simplistic and “illusory.” Solving the housing and homeless crisis, he said, requires a thoughtful, multifaceted strategy with specific policy proposals. One suggestion, he posited, was withholding transportation funding to communities that don't build enough new housing. “I think you also have to be a bit punitive as it relates to local government," he added. Newsom argued that California's tight cap on property taxes actually gives cities a “perverse disincentive” to build more housing, a reference to Proposition 13, the landmark 1978 voter-approved measure that placed strict caps on state property taxes, making them some of the lowest in the country. “We would like to have that debate about reallocating that tax base,” he said, adding that “everything is on the table,” including a possible re-examination of Prop 13. Cox, though, was quick to push back on the idea of more intervention from Sacramento. “All these plans don’t mean a thing if we can’t change a lot of these laws that are adding to the costs, that are driving housing prices and apartment prices through the roof,” he said.